Vaido (Võrumaa, Estonia) on 21 December 2011 in Landscape & Rural. Very balanced image - and wow on the color! incredible colours and cloudscapes !! wow! stunning colour in the sky! nicely composed too - i like how you gave maximum space to the sky and still kept a bit of landscape below for good balance! Fantastic capture of this sky! Congratulation! 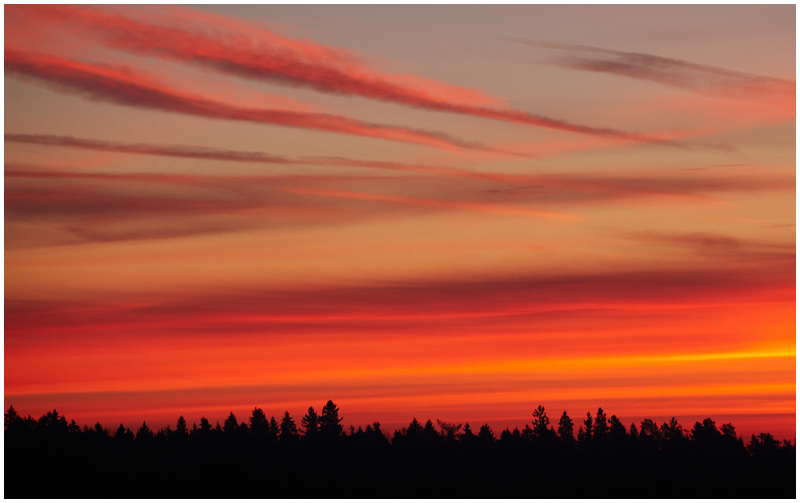 A fabulous set of colors in the sky and some nicely silhouetted trees. Congratulations on the Color Spotlight! Wonderful...Congratulations on the Color Spotlight !! Wow, Fantastic ! Congratulations on the Color Spotlight ! congrats on the colour spotlight ... not a surprising decision at all !!! What a great sky, nice colours ! Wow! Absolutely gorgeous color! Congratulations on the Color Spotlight! i love the this period of day. early in the morning. Un ciel somptueux et un un cdrage bas que j'apprécie.